D. Fredrica Brooks-Davis, M.A. Psy.D. 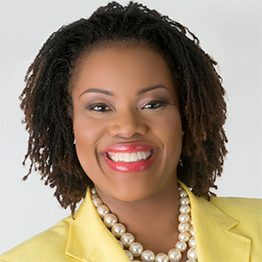 Reid Temple Restoration Center, Inc.
Dr. Brooks – Davis serves as the Executive Director of the Reid Temple Restoration Center, Inc. a church – based counseling center, which she developed at the direction of her Senior Pastor, Rev. Dr. Lee P. Washington. She also serves as Chief Executive Officer and Founder of Destiny Empowerment and Consulting Services, LLC (DECS, LLC). Most recently, Dr. Brooks – Davis and her husband, Teddy, founded the Brooks – Davis Institute for Brain Cancer Awareness. This organization is birthed from their personal experience with facing her husband’s brain tumor diagnosis, which they agreed to face together after three months of marriage.